We love to hear about our Club Member’s adventures so please continue to send in your race reports – please find attached Kirsten’s great report covering the Questars Chilterns Adventure Race and Velothon Wales. Joined Horsham Amphibians in 2009. 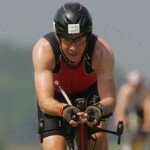 I'm a novice triathlete that completed my first full Ironman event in July 2012 - IM Austria. Now responsible for the overall communication to Club members. My first blog (Journey to Ironman Austria) followed my journey to become an ironman finisher - the training, the time commitment, the support and coaching, the events in between - all the 'highs and lows!'. The subsequent blog (Tri Hard Training) continues with my training and love for the sport.